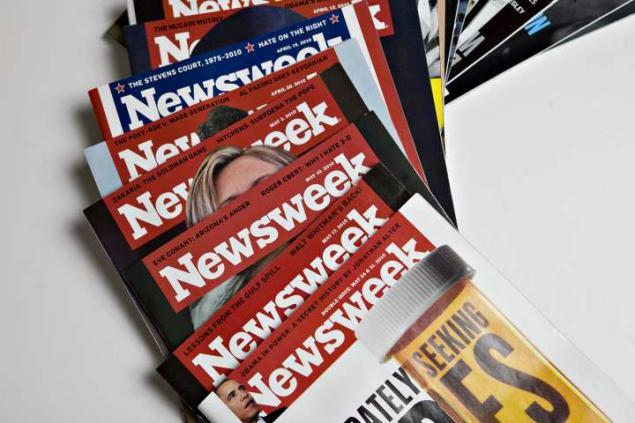 The so-called “death of Newsweek” seems like a major blow to the magazine industry, and perhaps the larger print media industry, but that’s like saying winter is a major blow to the convertible industry. We will always have journalism, and we will always have journalists, even if their stories don’t arrive in the mail or on newsstands on a once-a-week basis. We’re in a bad environment for print as a mass medium, but maybe that’s a good thing, because it means we can stop thinking so much about the mass and start thinking more about the medium. 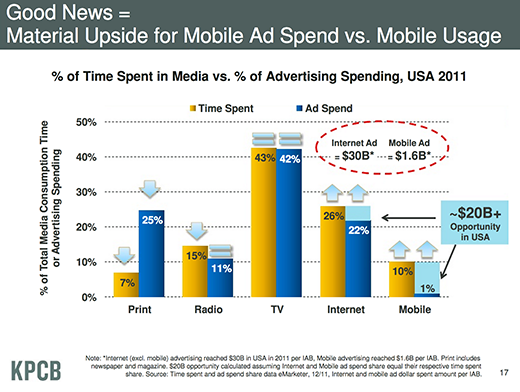 In its “2012 Internet Trends” study, venture capital firm KPCB found that advertisers spend 25% of their dollars on print compared to radio, TV, Internet, and mobile, even though audiences spent only 7% of their media consumption time staring at printed pages. It’s a huge disparity, and we can safely presume that in the print industry’s parallel games of tug-of-war, the advertisers are very likely to pull some of that 25% back from publishers, and publishers will have an even tougher battle trying to pry away more than 7% of audiences’ attention. The mass has clearly migrated away from print, but that doesn’t mean print is dead–it still gets 7% of everyone’s attention, and although “7%” seems small, “everyone” is still quite large. Print isn’t a very good way to get the news to the masses: it’s slow, it’s a drain on natural resources, and it takes up physical space, which is problematic for something as disposable as a newsweekly. But all these attributes can be positives for print: its slowness is bad for time-sensitivity but makes it an ideal medium for timeless and historical subject matter, which gets buried under heaps of newness online or on the air; its use of natural resources, especially for those of us who care about using those resources judiciously, should mean we reserve print for our most precious material; and its physical presence means printed matter can be living, tangible objects in our homes, schools, and libraries. Digital media have none of these attributes, and that’s great news (no pun intended) for the churn of timely, day-to-day news and feature stories. Print still has value, though, even if it’s a bit more niche. The death of Newsweek doesn’t signal the death of print, just the death of our old ways of using it and–we can hope–the birth of new and better uses for it.